Life is too short to waste sitting on a couch, isn't it? behind screens, try and remember how happy you used to feel out there on the grounds and hustling away under the bright summer sun. Maybe it’s time to bring back the glorious childhood days back. So, what are you waiting for? C'mon, let's get out there and play the good game called life! While we can’t teach you how to play, we can surely help you buy, sell or swap used or new sporting goods, apparel, game tickets, merchandise, and much more, hassle-free. All you have to do is download and sign up on Replay Sports, click on the shopping cart icon (Buy) and start browsing for your desired gear. Once you like an item on the app, it searches for sellers nearest to your location and lets you make an offer for the exact same item, it’s that simple. Want to sell the NFL jersey or the pair of football shoes you’ve now outgrown? No problem. Simply click on the Camera icon on the app, upload images of the gear along with its details and that’s it. Buyers near your locality will contact you in no time. Furthermore, you can even filter your search results according to the sport - Baseball, Basketball, Field Hockey, Football, Soccer, Gymnastics, Ice-Hockey, Lacrosse, Martial Arts, Rugby, Taekwondo, Karate, Softball, Tennis, Volleyball, Skiing, Ice Skating, Kickboxing, Snowboarding, and much more. Still can’t find what you were looking for? Why don’t you SHOUTOUT! This interesting app feature lets you send out a SHOUTOUT to nearby users if the gear you’re searching isn’t there in the search results. Furthermore, we support ‘Go Green’ initiative, therefore, you can donate your old, used sports gear in good condition and we'll make sure that it goes back into use, not in landfills. At Replay Sports, we help reuse and repurpose your sports equipment, so that your gear can play again for someone else. At Replay Sports, we understand that there’s no stronger team than a family. Therefore, we strive to fulfill the needs of each and every one of you. We get it - kids get bigger each passing second, teens look no farther than brands, and you want prices that don’t burn a hole in your pocket! Worried about your kid outgrowing their sports gear next season? You can always get a newer set of equipment - that too, at throwaway prices at Replay Sports. You can buy, trade, and sell both new and refurbished fitness gear and sports equipment with other users near your locality. Likewise, you can also get your hands onto fan gear, tickets to sporting events, and lot’s of other cool stuff. At Replay Sports, we pack the goods and relevant industry experience to help deliver a seamless online shopping experience to you. 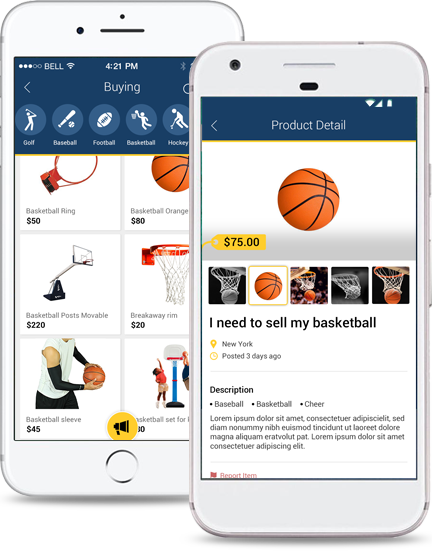 You can shop for great deals on both new and used sports equipment on our app, or list your old-yet-pretty neat sports gear for sale within minutes! 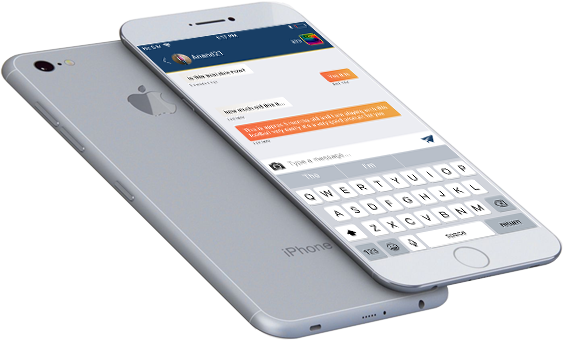 List hassle-free from your iOS or Android mobile devices. Just take a few clicks, add some details, and decide your selling price to start getting cash on your used sporting gear. 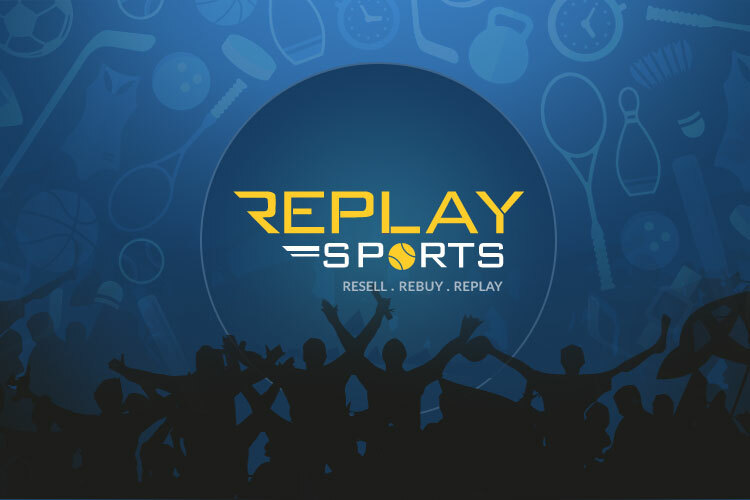 The Replay Sports app gives you the ability to buy and sell directly through your local community. Therefore, the entire process is not only quick, but also trusted and transparent. You can be sure to provide good quality training gear, fitness equipment and much more to your family without putting a dent in your pockets. Likewise, you can support your local community by letting the kids play new sports at really affordable prices. Purchase instantly with the Buy Now option on the app. You can also catch up with the sellers near you, to start a negotiation and make an offer. 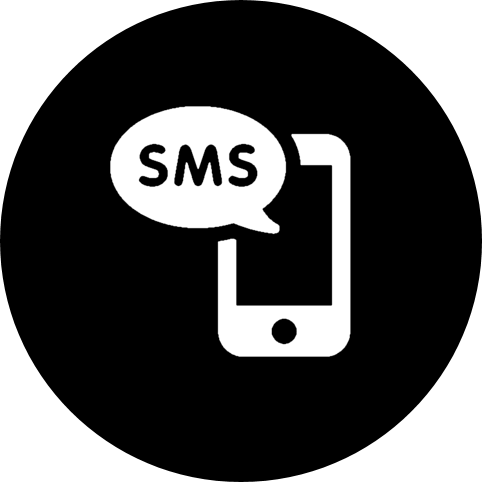 Likewise, you can also use the Chat feature on the app to communicate directly with the sellers. The Replay Sports app packs more than a few cool features and surprise elements. In addition to sporting goods, you can also get your hands on some of the most coveted professional and college fan gear and season game tickets. That said, you can even search last-minute for items at a discounted price. Forgot to get your son his favorite pair of sneakers, just before the big game? Don’t have the tickets to the community football finals? No worries, we got it all covered. With Replay Sports, it’s all about the community and spreading brotherhood through sports. Come join the bandwagon now!